Janice (Jan) Moran was born in Chowchilla CA on June 9th, 1937. She is preceded in death by her loving parents Joe and Dee Kiker, and her dear sister, Patsy Weems. For Jan’s 81st birthday in June she asked her husband Bill to take the family to Las Vegas. If you know Jan, Las Vegas and New Orleans were always at the top of her travel list. Jan and Bill also celebrated their 59th wedding anniversary on June 13, 2018. Bill recently shared that the secret to a long happy marriage is two simple words, “Yes Dear”. 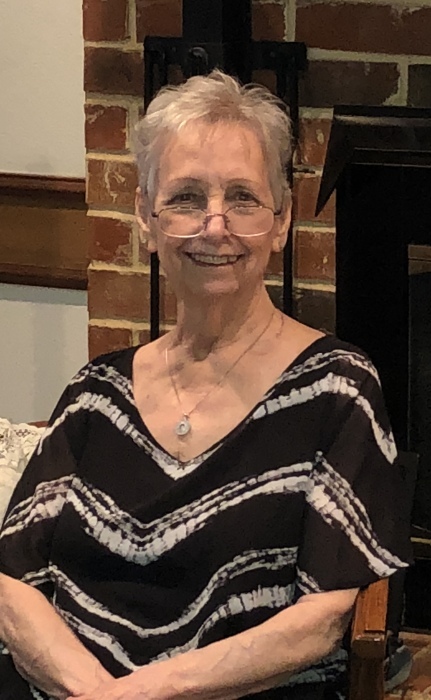 Jan worked as a secretary, office manager and bookkeeper for a printing company, county attorney’s office, and a refinery company in Midland where she met her husband Bill. They moved to Austin where Bill completed his chemistry degree while Jan worked in the Aerospace Engineering department at the University of Texas. She has been a devoted Longhorn her entire life. After moving to Lake Jackson, Jan became a “stay at home” mom to her daughter Dee Dee and son Chuck. “Stay at Home” included 15 years of being a room mother, president of Little League baseball, secretary at the kid’s elementary school and assisted in the church office twice a week. She and Bill moved to Baton Rouge, LA for 10 years where she learned to love all things Cajun! Their time spent in Louisiana was wonderful and if you asked her it was one of her favorite places to call home. They finally relocated to Midlothian, Texas to be closer to their grandchildren. She was blessed with three grandchildren who gave her unconditional love and many years of great joy. She spent many hours attending activities and sports events for the last 16 years. Jan became known to all who met her as “Granmom”. She shared her witty sense of humor, extensive knowledge of sports, and love of playing games with everyone she met. “Granmom” had a special place in her heart for family gatherings, reading, sports, games, decorating, organizing, revising and editing college papers, creating homecoming corsages, making Christmas wreaths, slot machines, painting, gift giving, treat bags, doing the perfect load of laundry and beating anyone who ever challenged her to scrabble! Jan is survived by her husband, William (Bill) Moran, of Midlothian, TX; daughter Laura Rickey, her husband Tracy, of Kennedale, TX; son William (Chuck) Moran Jr., his wife Elizabeth, of Leander, TX; grandson Kendall Rickey, his wife Katie, of Lewisville, TX; granddaughter Alexis Rickey, of Kennedale, TX; grandson William (Trey) Moran Jr. of Leander, TX; brother in law Bernard Weems, of Snyder, TX; niece Kayla Rose, of Snyder, TX; nephew Bernard Weems Jr., of Snyder, TX; brother in law Paul Moran, his wife Ruth, of Georgia; brother in law Robert Moran, his wife Carol, of Albuquerque, NM; and several nieces and nephews. We would like to thank family and friends for their love and support throughout Jan’s illness. A special thanks to Pastor Brady Johnston, Nurse Dorothy Ojirika, and to Wayne Boze Funeral Home. Donations can be made to MDAnderson Cancer Center in Houston, Tx.